Invite collaborators and set permissions for each user. Co-authors can read and write, guests can read and chat. You can change user permissions whenever you want and remove a collaborator altogether as necessary. 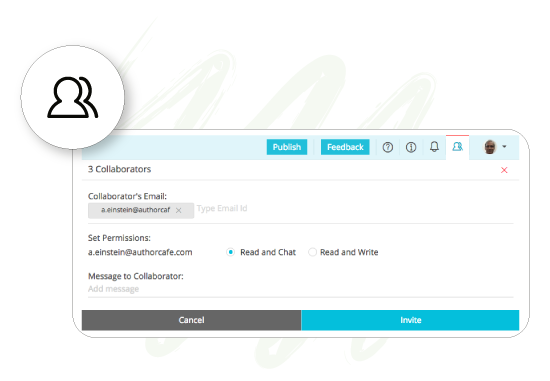 Invite a peer to join your project with ‘Read and Chat’ or ‘Read and Write’ permissions. AuthorCafe does not require a sign up if the permission is set to ‘Read’. However, in order to write and edit, the co-author will need to register with AuthorCafe. Track all edits as you co-write. 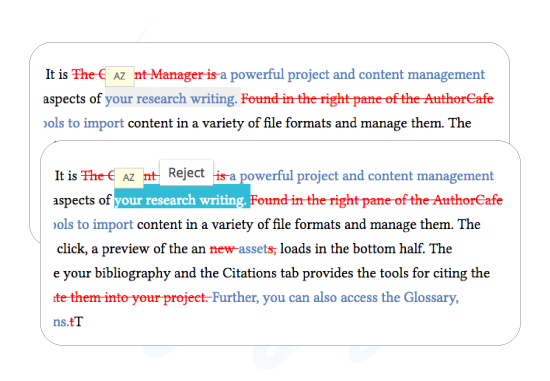 In AuthorCafe, content you write is always black, while your co-authors’ content is blue. When you delete a co-author’s content, it becomes red with a strikethrough. By default, AuthorCafe automatically accepts all changes, and you must double-click a tracked edit to reject it. To see your edited project, click on Reader. 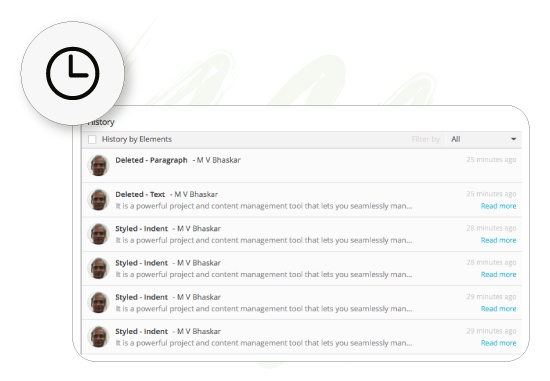 You get a clean view of your project, minus the artifacts that everyone leaves behind. AuthorCafe keeps a meticulous record of who does what and when. 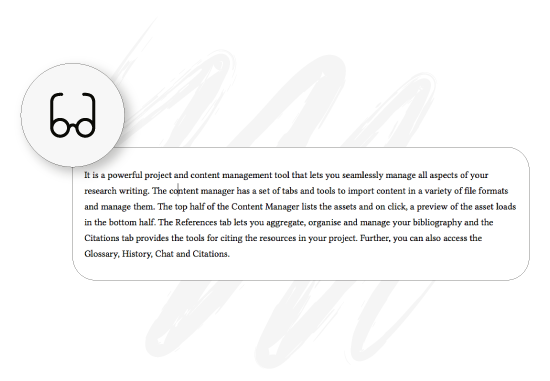 With an easy navigation option, each edit point becomes instantly viewable to you and your collaborators.